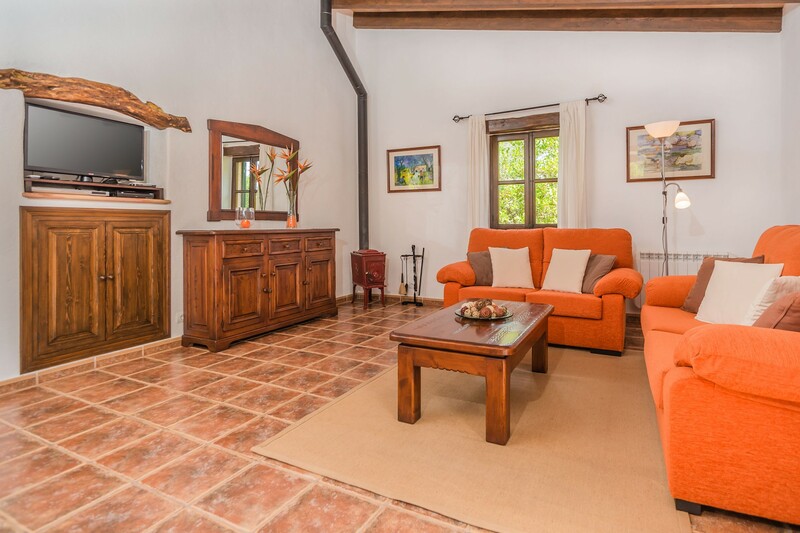 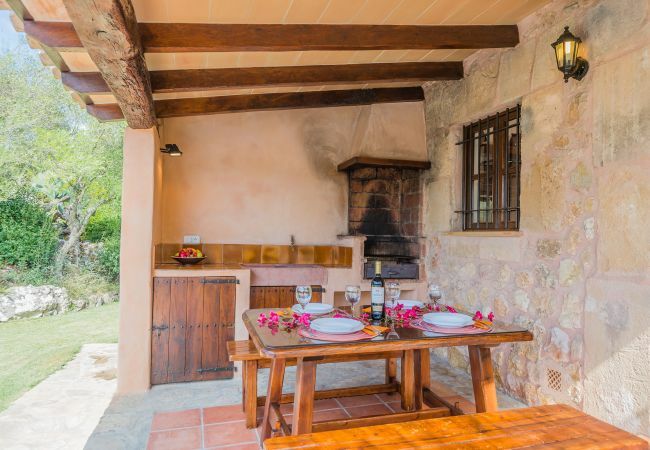 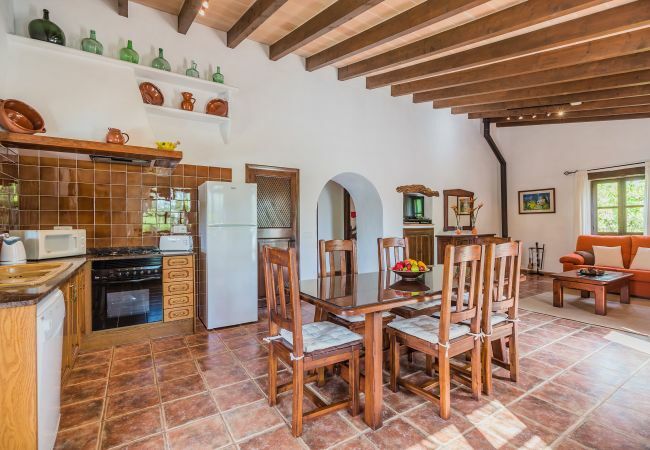 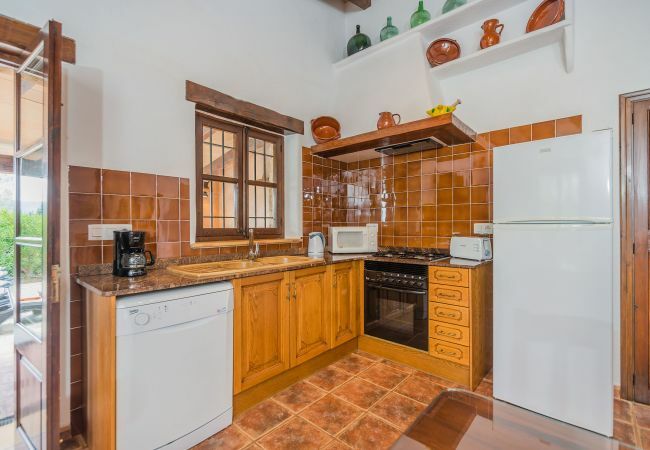 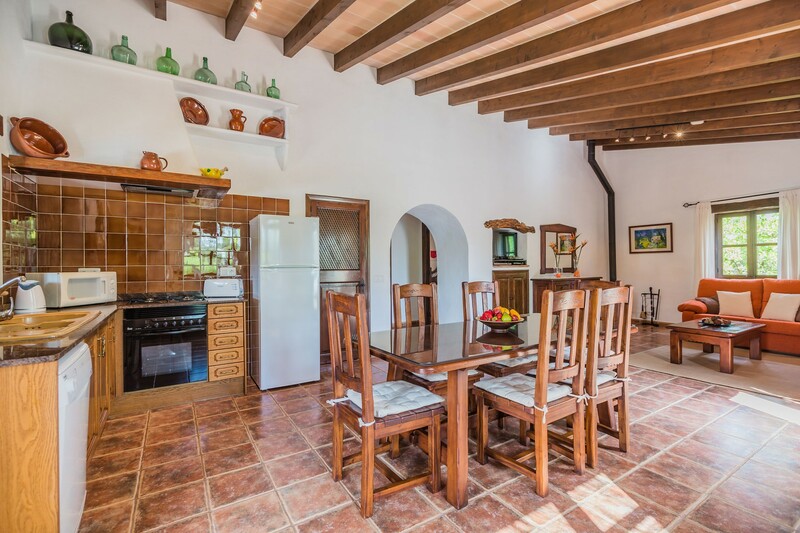 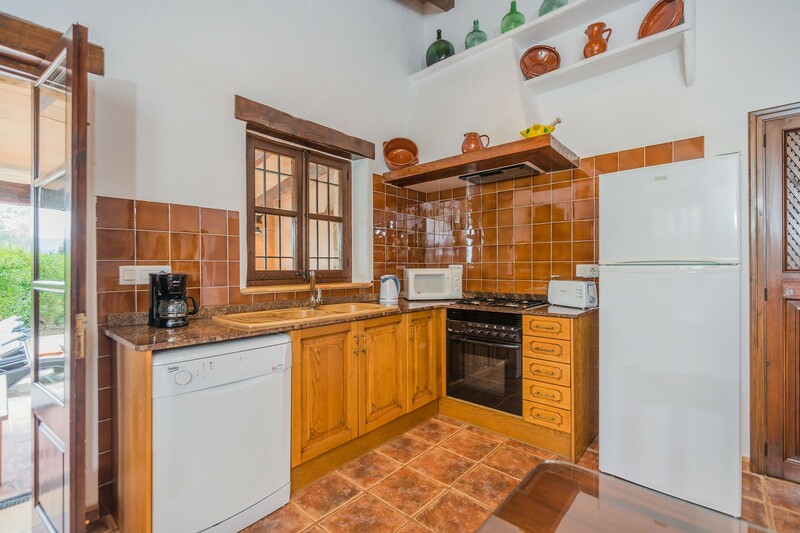 The country house is homely, is fully-equiped, and is 95 m². 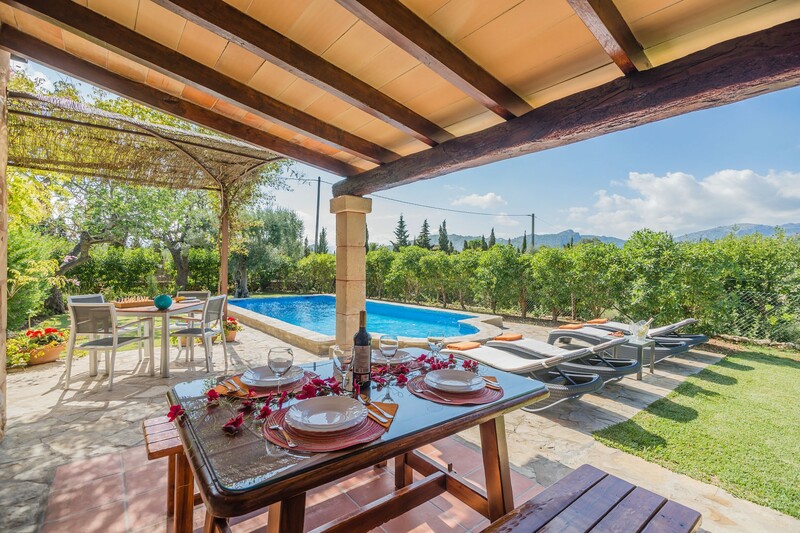 It has views of the mountain and the swimming pool. 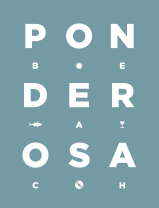 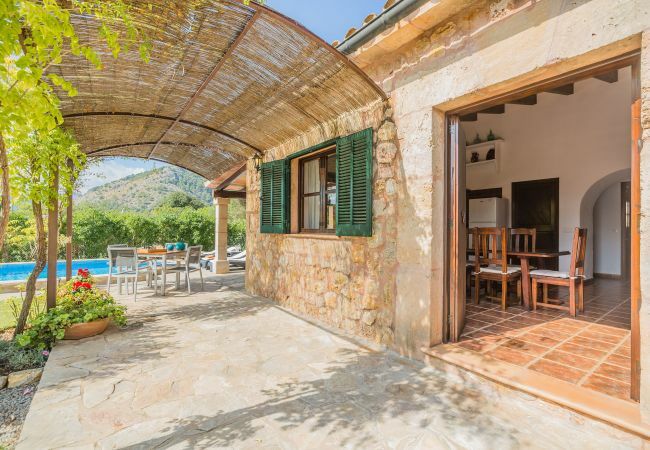 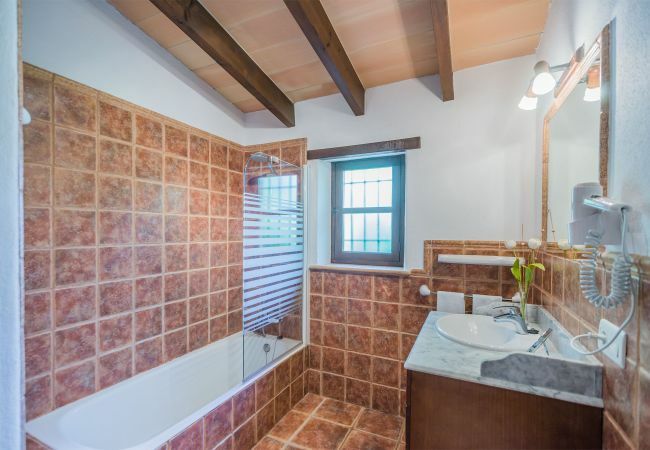 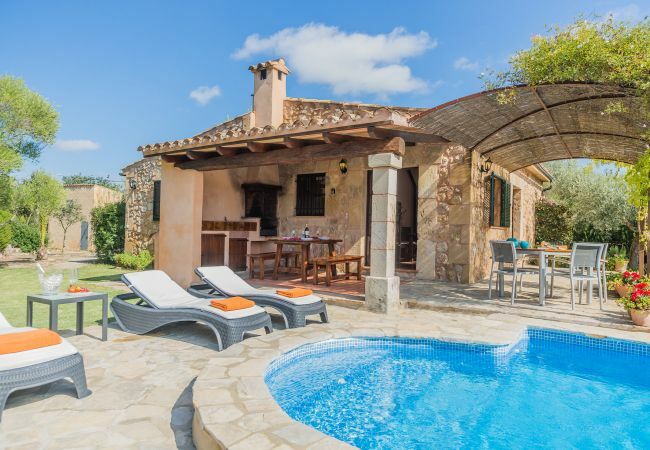 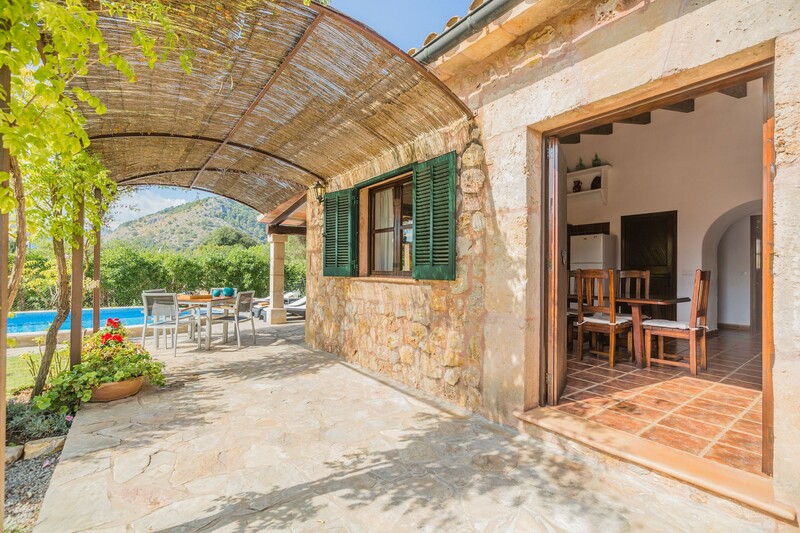 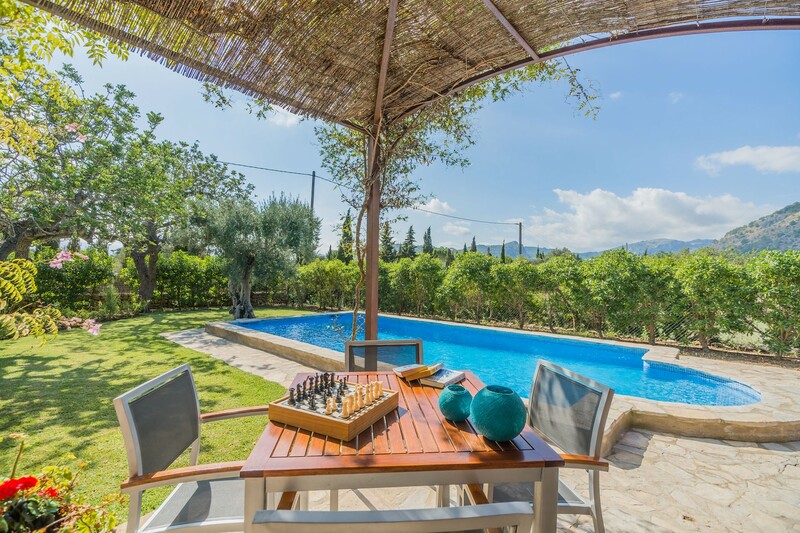 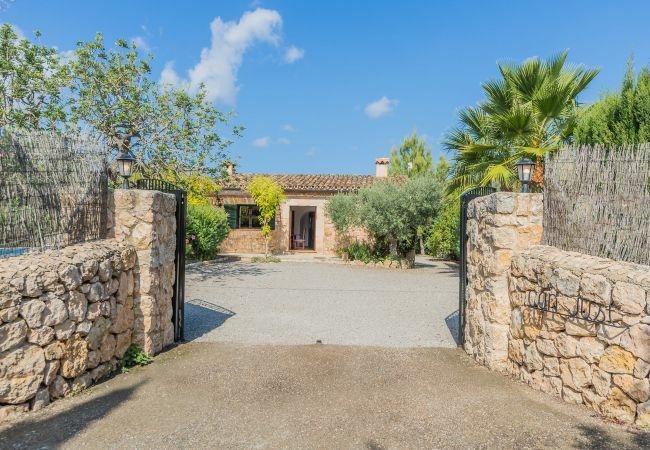 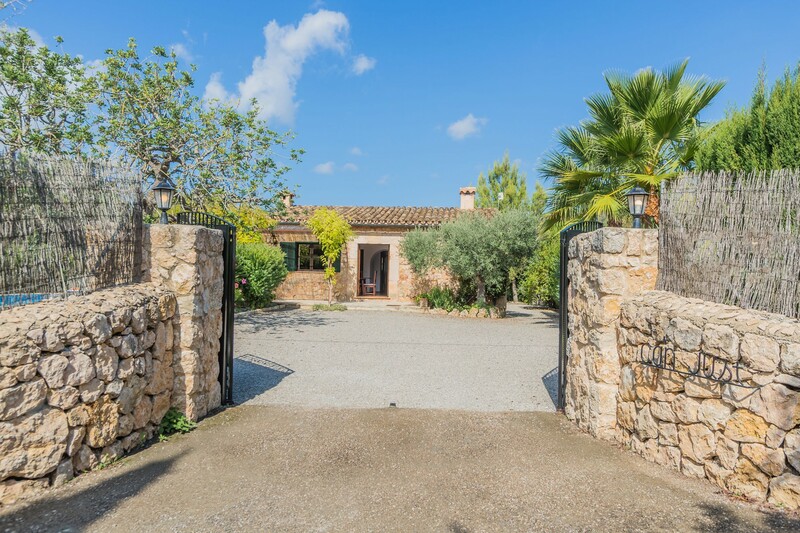 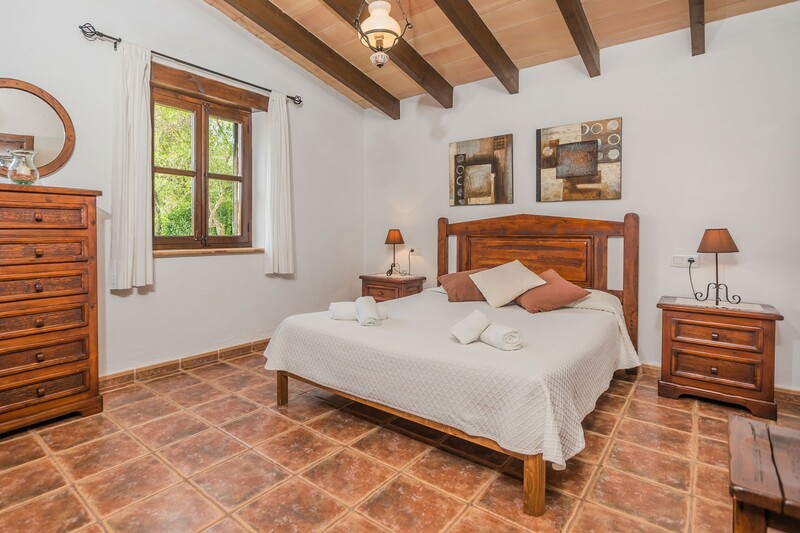 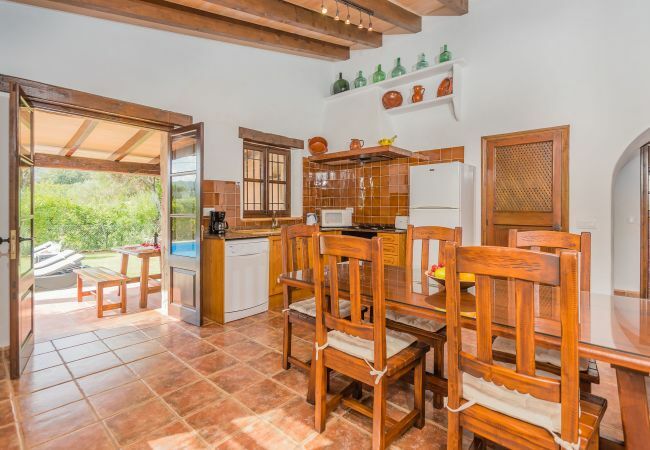 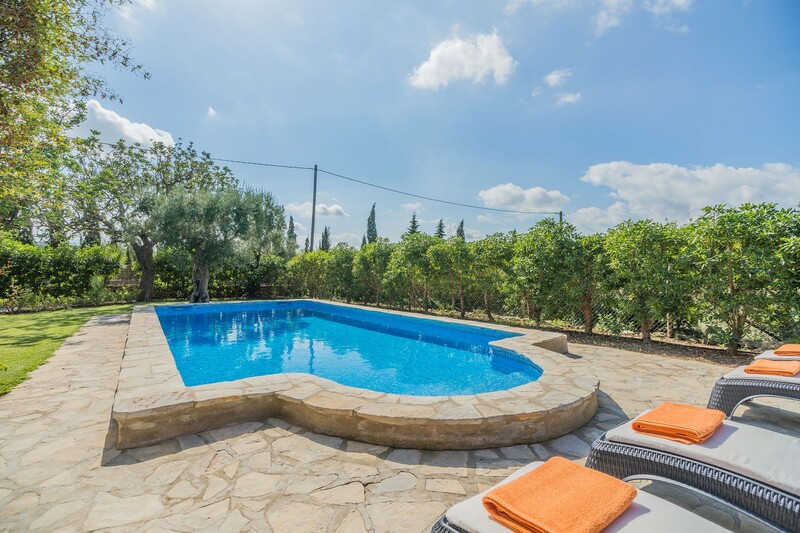 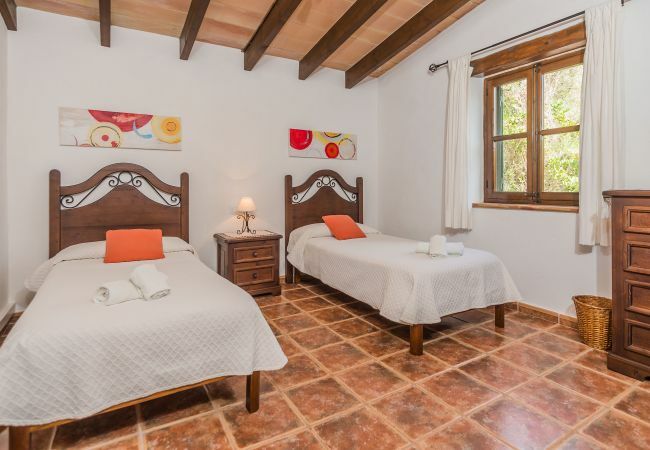 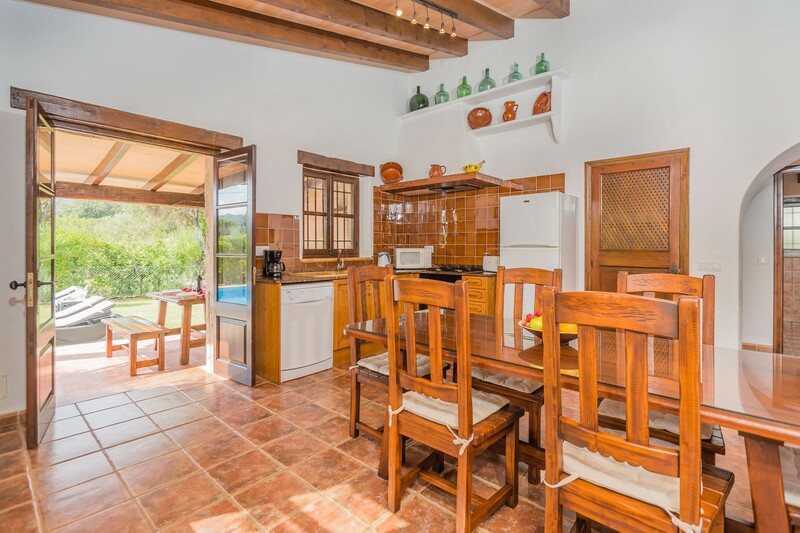 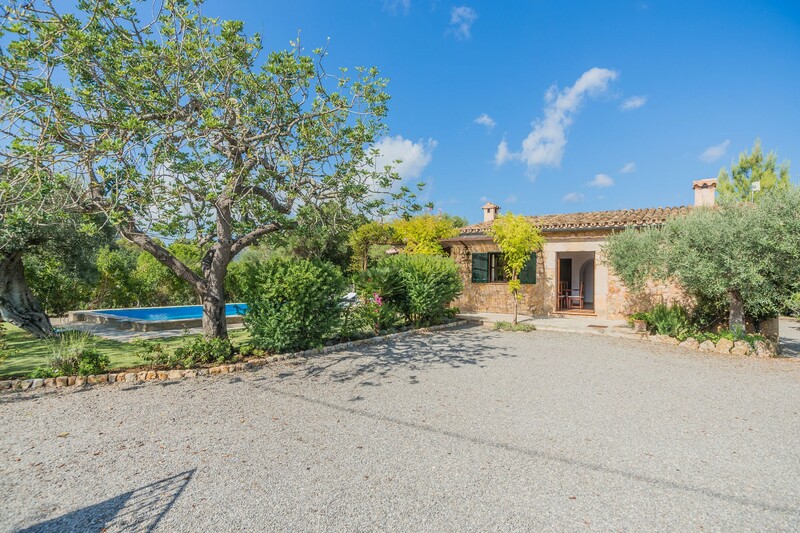 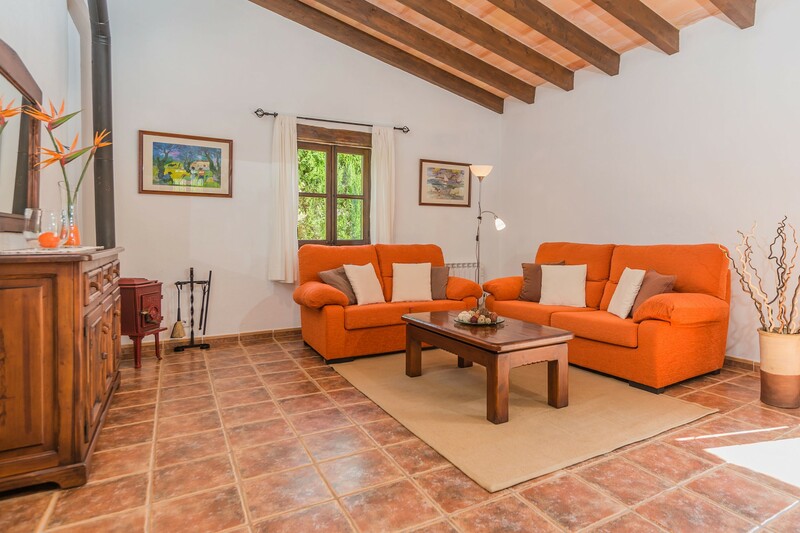 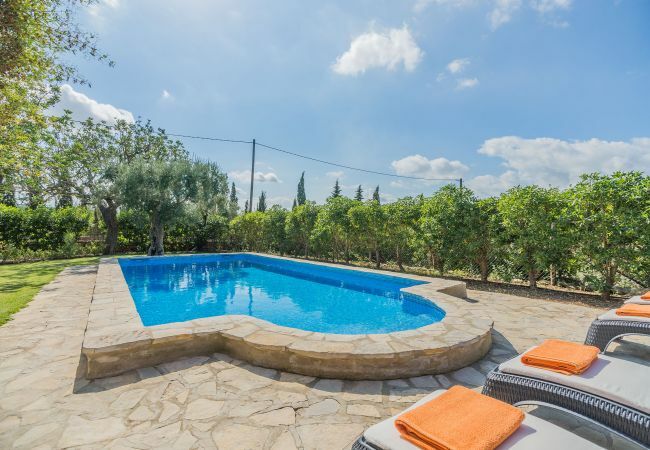 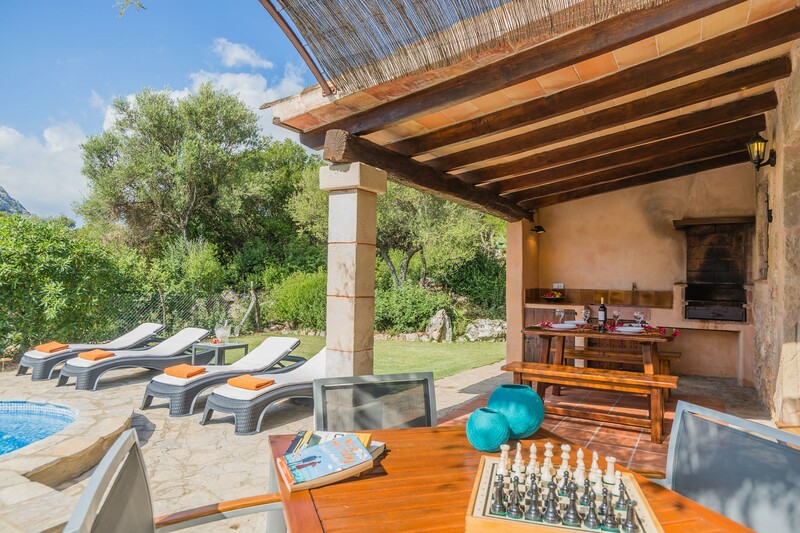 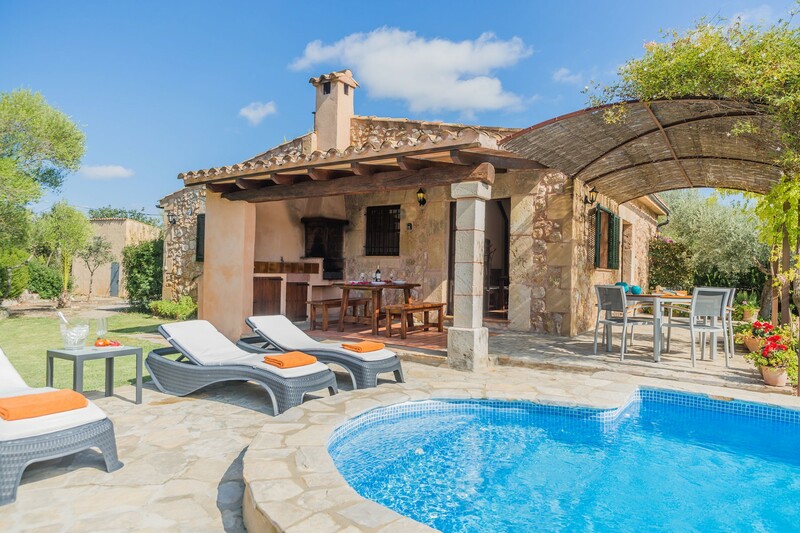 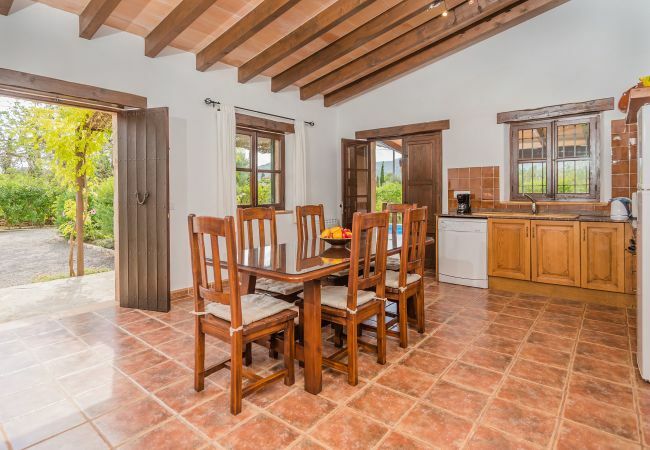 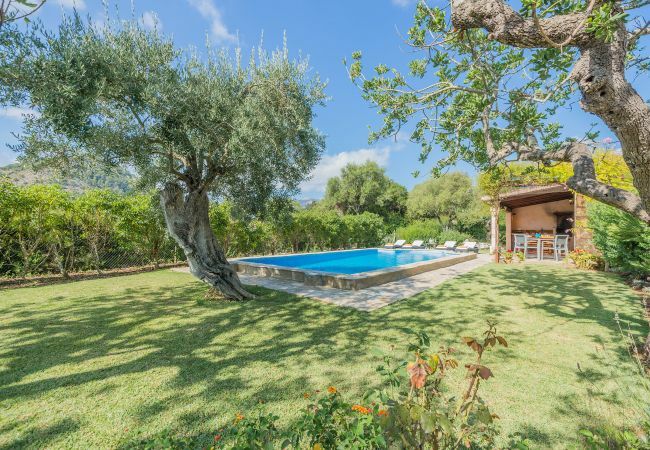 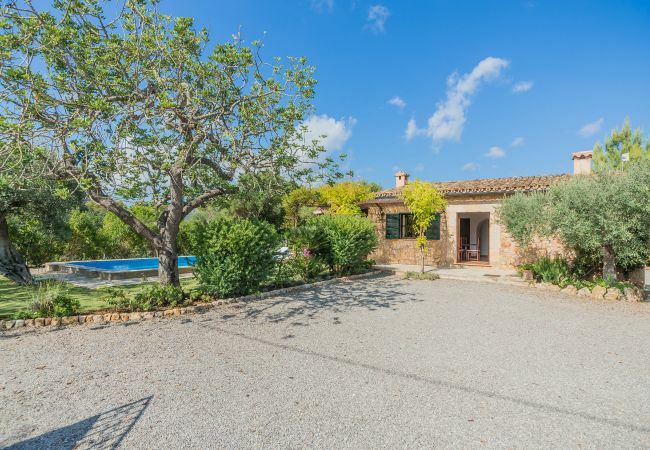 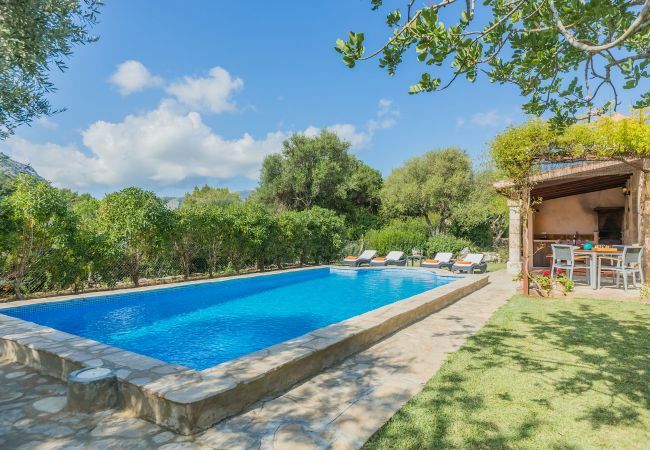 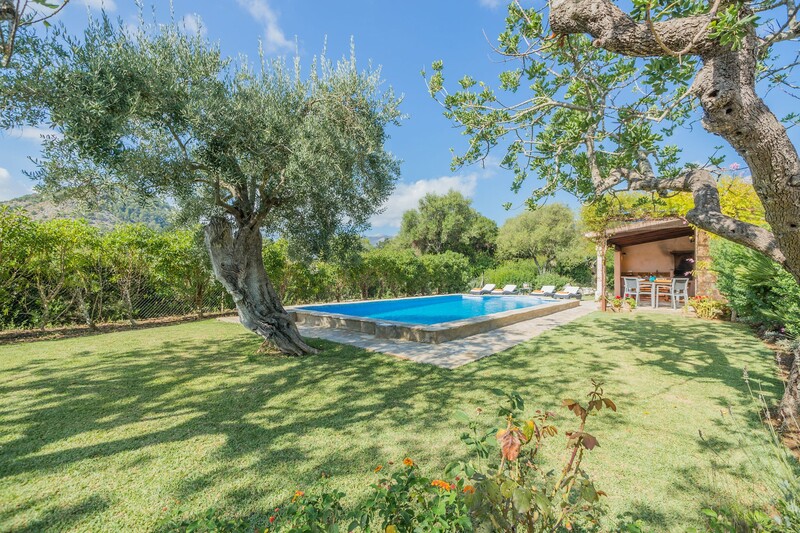 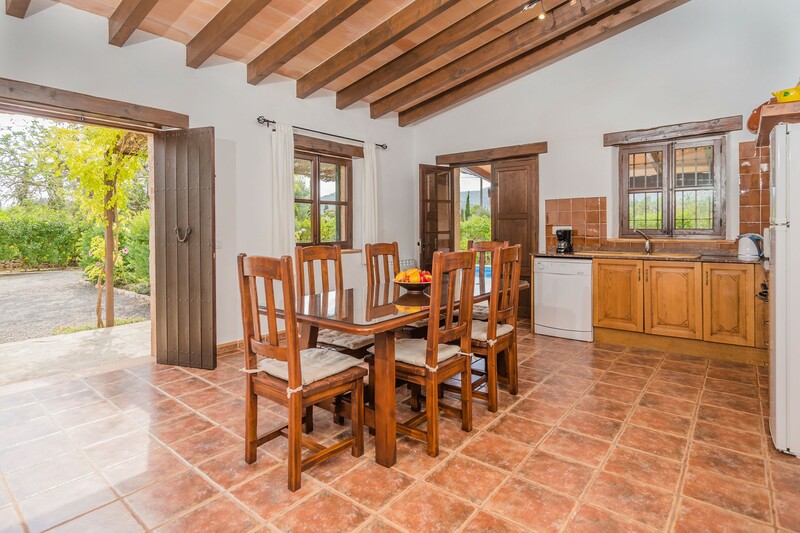 The property is located 2 km from Pollensa supermarket, 2 km from Pollensa city, 3 km from Pollensa golf course, 7 km from Puerto de Pollensa sand beach, 7 km from Cala San Vicente sand beach, 55 km from Palma de Mallorca airport. 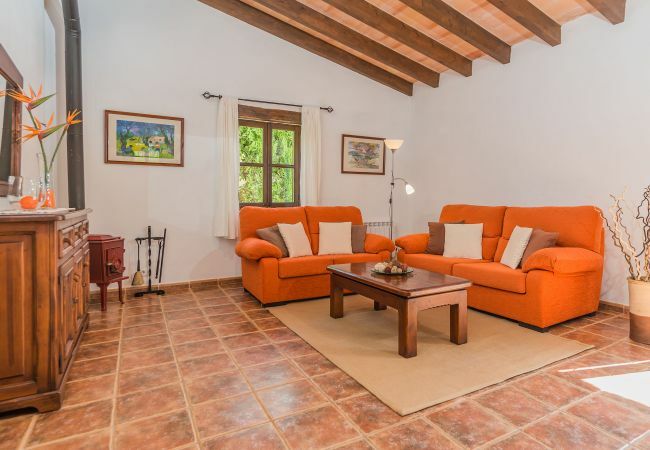 The house is situated in a quiet neighborhood surrounded by the forest. The accommodation is equipped with the following items: garden, garden furniture, fenced garden, terrace, barbecue, fireplace, iron, safe, internet (Wi-Fi), electric heating, air conditioning in all bedrooms, private swimming pool, open-air parking (2 places), TV, satellite (Languages: Spanish, English, German), stereo, DVD. 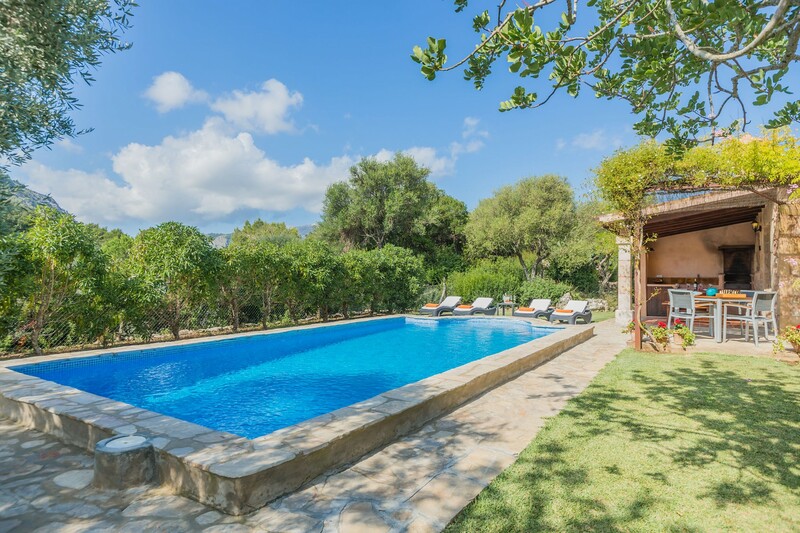 - TV, TV Satellite (Languages: Spanish, English, German), Stereo, DVD, garden, garden furniture, fenced garden, terrace, barbecue, fireplace, iron, safe, internet (Wi-Fi), hair dryer, 95 m² property, 4,000 m² plot, electric heating, air conditioning in all bedrooms, private swimming pool (dimensions 8.40x4.00, max depth 5.9 ft, min depth 3 ft, opening date 1/3, closing date 31/10), Open-air parking (2 places).